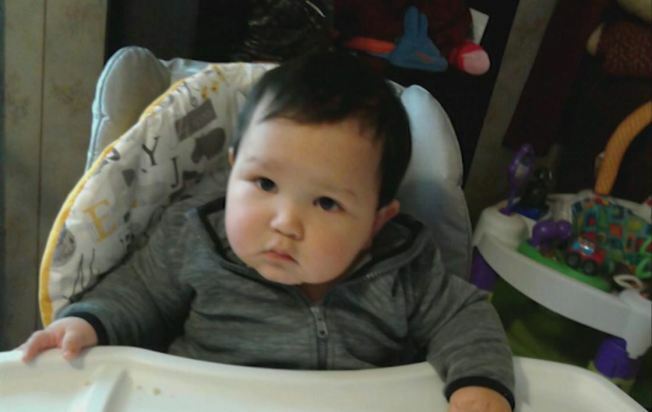 An 8-month-old boy at the center of an Amber Alert out of Monterey County was found safe in San Jose Monday morning, according to officials. The baby, who officials originally said was a year old, was sitting alone in the back seat of a running car in Soledad when a suspect hopped in the vehicle and drove off, according to Sgt. Juan Espinoza with the Soledad Police Department. Hours later, concerned citizens in San Jose came across the suspect, later identified as Raymond Randy Gutierrez, and managed to bring the baby to safety. "Baby is perfectly safe and sound," Soledad Police Department Sgt. Juan Espinoza said. "Best possible result that we could have hoped for." Gutierrez, a transient known as "Turtle," was spotted driving in a white Honda in Salinas later in the day and was arrested on suspicion of kidnapping, child endangerment, auto theft and possession of stolen property, police said. The child was resting in the car early Monday when his father ran inside their home to grab something, according to Espinoza. When the father came back, the car and his child were gone. According to a source, the Gutierrez stole the car but supposedly didn't realize the child was in the back seat. Police in San Jose received a call around 7:15 a.m. about a man with a baby in the back seat of a car in the area of Seymour and Walnut Streets, according to police. A woman by the name of Mamas Ramirez said Gutierrez, pounded on her trailer door and asked her and her husband to take the baby. After getting over the initial shock of the situation and realizing that the suspect did indeed have a baby, Ramirez said Gutierrez then started to break into a nearby van, which apparently belongs to the suspect's brother, to steal a scooter. A worker at a nearby construction company heard the commotion and learned about the situation after talking with Ramirez. Together, the worker and Ramirez decided to pluck the baby from the car. The suspect returned to the stolen car and fled the scene. San Jose police eventually arrived at the scene and took control of the baby, according to police. Following a medical check, the baby was reunited with his parents at the San Jose Police Department. Monday's abduction marks the second time in two years that a car theft in Soledad turned into a kidnapping, according to Espinoza. He used the incident as a reminder to parents to never leave their children alone in a car with the keys inside.